TubeBuddy is a powerful tool which will help you to manage, optimize and grow your YouTube channel. It is a tool packed with a lot of features that will help you to get a lot more out of YouTube. The best part of TubeBuddy is that all of its features are available inside your normal YouTube interface. It is available for users as a Google Chrome Extension and Mozilla Firefox Extension. The utility comes in 2 variants: free and premium. If you don’t want to go for the premium version of TubeBuddy, then you should definitely try its free version. 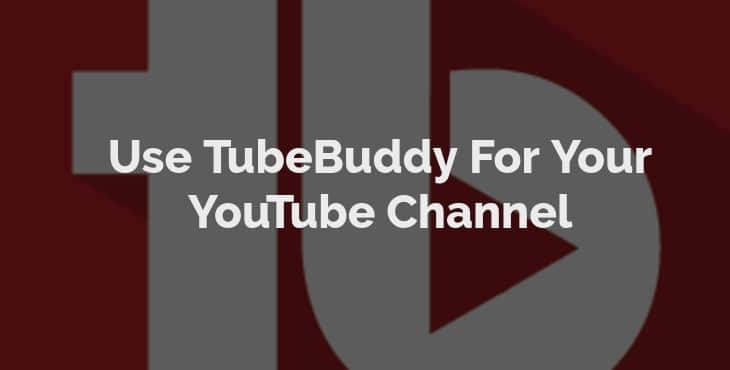 Let us first guide you with how to install the TubeBuddy extension on Google Chrome and then go ahead with features of TubeBuddy. Click “Install” free on Google Chrome. Now, you will be redirected to the Google Chrome extension website. There, tap on “add to chrome” option and you will see a TubeBuddy icon on the top right side of your computer screen. Go to YouTube. There you may or may not see a warning that “your YouTube account isn’t linked properly”. If you do see the warning then follow the steps of TubeBuddy. It will guide you to properly link your YouTube account. After your YouTube channel is properly linked with TubeBuddy, you will see a drop-down menu of TubeBuddy which have a host of powerful features that you can use. Here, I will try to give a brief view of TubeBuddy’s powerful features. Tag Explore: – with this feature, you can find best and popular tags for your videos. Works inside YouTube:-TubeBuddy adds a menu inside your YouTube channel so that you can get access to all of the TubeBuddy features easily. GIF Generator: – This feature generates a GIF for your video or for a specific part of your video. Brand Alert: – This feature will send you a notification every time when there is a mention of your channel.